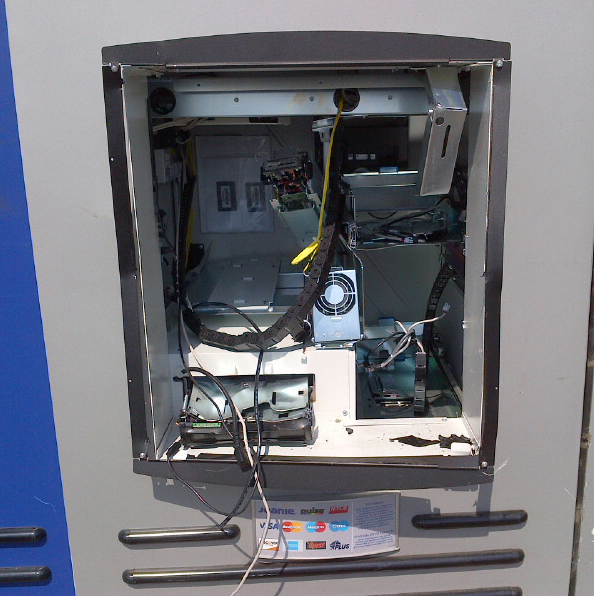 Most of the ATM skimming attacks written about on this blog conclude with security personnel intervening before the thieves manage to recover their skimmers along with the stolen card data and PINs. However, an increasingly common form of ATM fraud — physical destruction — costs banks plenty, even when crooks walk away with nothing but bruised egos and sore limbs. An ATM technician and KrebsOnSecurity reader shared photos of a recent attack in which three would-be robbers went to town on a wall-mounted cash machine with crowbars and hammers. 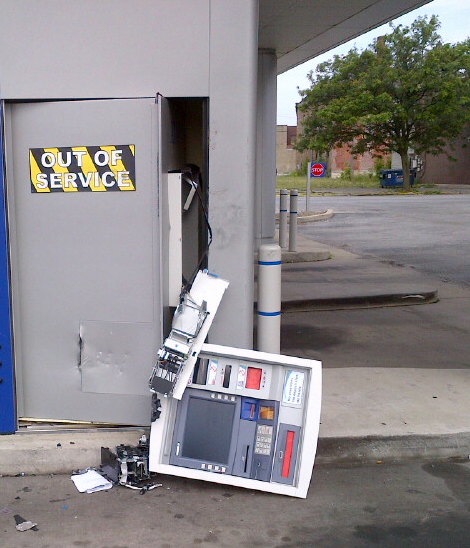 Thieves with crowbars did massive and costly damage to this ATM, but were thwarted in cracking the safe. According to the technician, the burglars ruined a $13,000 cash acceptor, a $5,000 check scanner, a $900 monitor, and a $700 card reader, among many other pricey items. 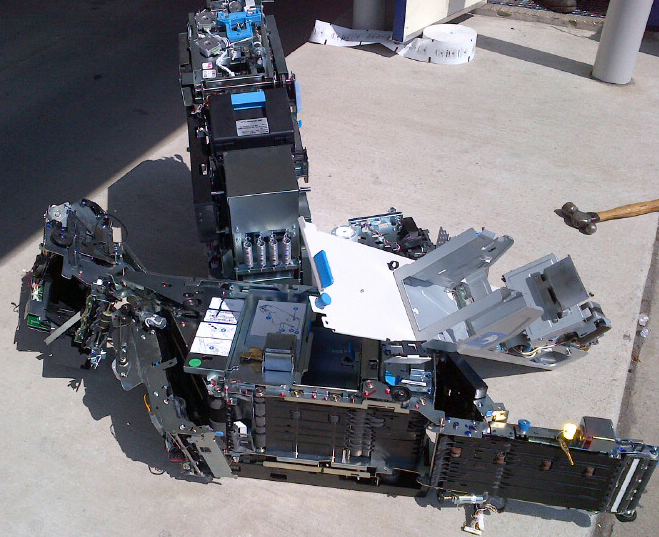 Hardly any part of the machine escaped damage. This thief-ravaged ATM is totaled. The carnage from this incident looks like something out of a bad Transformers movie.